Security plays an important role in everyone’s life, even the internet life that we have these days. It’s always better to keep all your logins and credentials safe with you and not give them to anyone, as they might end up misusing it. You probably have a lot of accounts on the internet and it’s certainly not very easy to remember all of them. That’s what these best password manager software are for. Why to Use a Password Manager ? 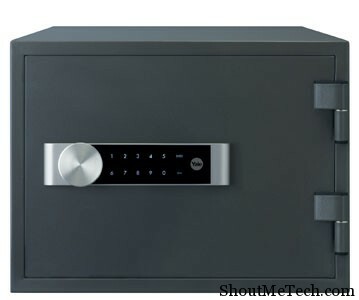 Normally, as it is difficult to remember all the different passwords, you would use one password for all. That is not good and it is important that you use different passwords for each account. It’s also okay to have different variations of one password as it will make it easier to remember. A normal user uploads and shares a lot of personal information on the internet everyday. Take for example Facebook, where an average person uploads a lot of private and personal stuff for friends and family to see. What would happen if someone hacked your account? Yes, that’s not a good scenario is it? This is why the use of a password manager is important and very useful if you happen to have a lot of email accounts, social networking accounts and more. These software create random passwords or let you create random passwords and stores them in an encrypted file on your computer. Plus, you don’t have to remember those passwords anymore, the software will take care of that for you! Since we are talking about security, I would highly recommend you to create strong and complex password for every site where you sign up. Also, try not to use common password on all site. One common mistakes which people do is, they use their personal information as password. For example: Gf/Bf name, birth date and so on. Instead of this, work on creating smart password which is harder to guess and harder to crack by brute force attack. You can use many online password generator like one which is offered by PCtools or use your own idea to convert a simple password into complex one. There are many free and paid password managers available on the internet today. But, I would suggest one to go with offline password manager rather than online one. So, here are three best password manager software that will take care of all your password management and keep your accounts safe. The name of this software and also the tagline of the product says it all. ‘The last Password You’ll Have to Remember’. And that is actually pretty much true. With LastPass installed on your desktop, you’ll never have to worry about any passwords. You can even ask the software to store details that can be used to autocomplete forms. This works on all the browsers and is cross-platform. On browsers, you can access all your stored passwords for various accounts via the toolbar. 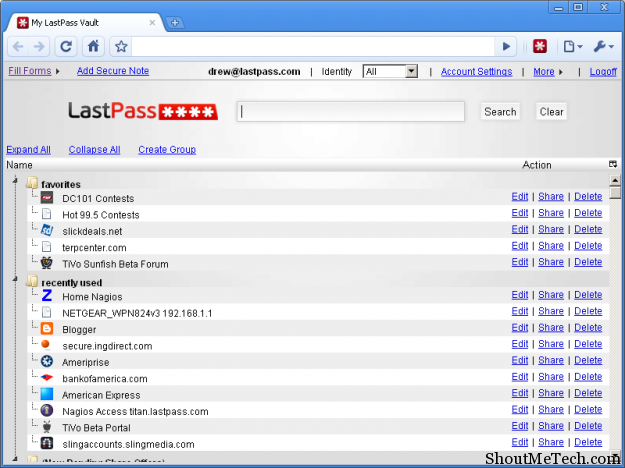 LastPass is available for Windows, Mac and Linux and also for mobile devices. There is a free version, but in case you want to upgrade to premium, you only have to pay $1/month. That’s a sweet deal if you ask me. You can either create and store your own passwords or you can ask the software to automatically create for you. Another great tool, but not as cheap as LastPass and yes you need a license key to use the software. But, if you stick to the basic version of RoboForm, you’ll only have to spend about $20/year. This software installs on your desktop and automatically configures itself with all installed browsers and other software that may require a password. It is also a cross platform software and works everywhere, even on mobile devices such as iPhone and Android. So, you can have your password in safe hands wherever you are. You can even use RoboForm from a USB, if certain browsers can’t run it as a plugin. After installation, a new toolbar will appear on your browser that can be used to access all your stored passwords, change them and everything else. Really simple to use, even simpler than LastPass. 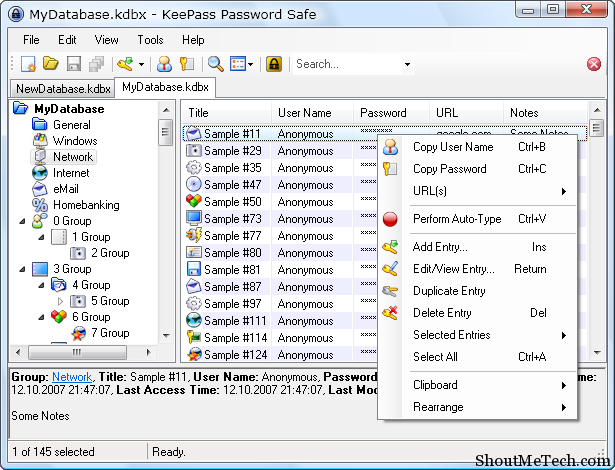 If you do not want to pay any money for password managers, then KeePass is you best choice. It’s available for free because it is open source, which means you can play around with it and make it do almost anything that the above mentioned managers can. This has been basically built for Windows, but does work on other platforms with the help of certain plugins. Although, because it’s open source, it’s not very simple compared to RoboForm or LastPass. Like I said, it has a huge list of plugins, which can be downloaded and installed from over here. There’s isn’t anything that KeePass can’t do and other Password managers can. Another one, which you may consider using is Evernote. Though, it’s not a password manager software but it’s a cross-platform software and available online, for PC and for your smartphone too. So, you can quickly access all your password anywhere. But, again in this case you need to ensure the physical security of device where you are using Evernote app. Now that you have three awesome password manager software to choose from, you’ll have better luck in remembering each and every password. With these software it’s super easy to remember any password, no clicking on Forgot Password button ever again. Try out these software and let us know, which was your favorite and easiest to use. 1 Why to Use a Password Manager ? Roboform2go will not work with chrome.